It is the main cooking oil in the Mediterranean countries. The oldest olive oil amphorae dates back to around 3500 BC. 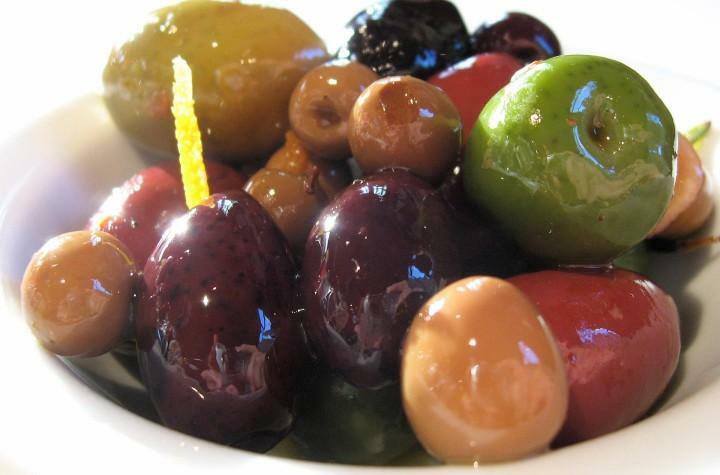 Olive tree on average can live between 400 and 600 years. The olive tree of Vouves (Crete, Greece) is the oldest olive tree in the world, aged around 3000 years and it still produces olives. In 1 tablespoon of Extra Virgin Olive Oil there are 119 calories. Spain produces 45 % of the world production of olive oil. Spain, Italy and Greece produce around 80 % of the world production of olive oil. Each year in the world are consumed around 2.3 million of tons of olive oil. 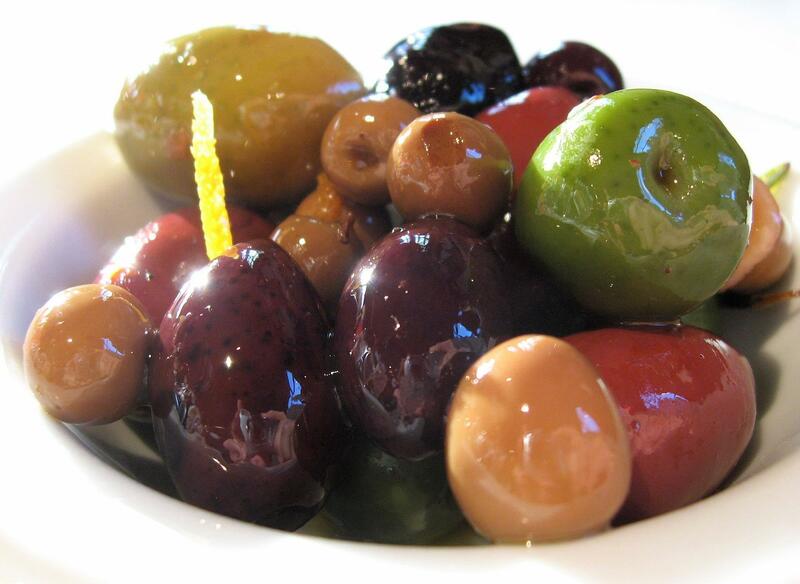 To produce 1 liter of olive oil it takes around 7 kilograms of olives. It is naturally free of cholesterol and carbohydrate. It is a healthier alternative for deep-frying as it has low smoke point. It is better to use olive oil instead of butter as it has no cholesterol and it contains only 33 % of saturated fat, while butter has 215 mg of cholesterol in 100 grams and it is composed of 50 % saturated fat and 5 % trans fat. It is recommended to store olive oil at room temperature in a cool and dark place. It can be stored for at least two years. It is normal for extra virgin olive oil to have sediment on the bottom of the bottle. Be careful when finding low-cost extra virgin olive oil, if the cost seems too inexpensive for the extra virgin olive oil it probably isn’t extra virgin. Some producers put the label extra virgin olive oil although it has nothing to do with it. Studies have shown that consuming more than three tablespoons a day of extra-virgin olive oil can lower your risk of having cardiovascular disease. 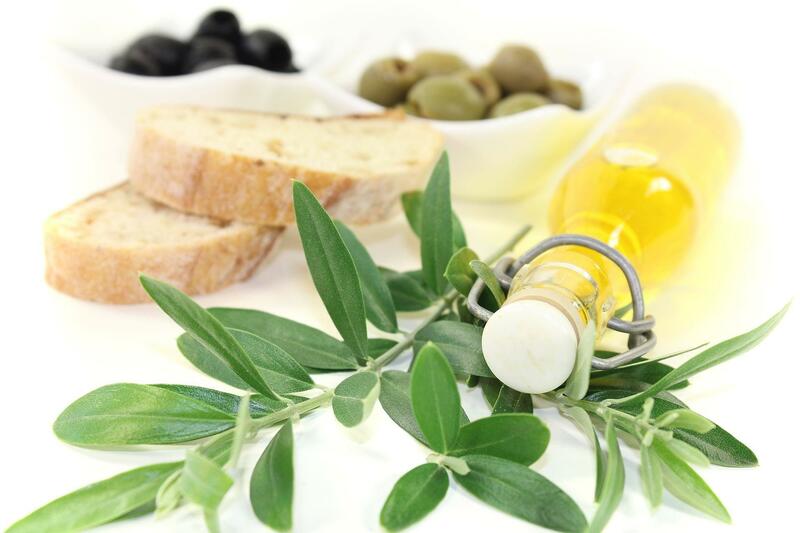 Olive oil has antioxidant and anti-inflammatory properties. Refined olive oil is 95% refined olive oil and with 5% virgin olive oil to give taste. Virgin olive oil comes from virgin oil production only and it is extracted mechanically by machines. The are no chemicals used during the production. Extra virgin is a high-quality olive oil, with no chemicals used during the production and it has undergone plenty of tests to confirm its quality and taste, it has to be free from any kind of defects. Olive oil is excellent as a makeup remover for eyes. If you don’t like using the creams with chemicals in it, olive oil is a perfect solution, it can be used as the skin moisturizer. Being viscous and moisturizing, this oil is perfect when shaving, allows the razor to glide better and provides anti-inflammatory actions. Take two teaspoons of Extra Virgin Olive oil before drinking, it helps to reduce the effects of alcohol. To prevent dandruff, mix 200 ml of olive oil with 25 grams of castor oil and distribute evenly and then rinse your hair. With few drops of olive oil, you can free a stuck zipper. For preventing stomach ulcers and aid digestion, take a tablespoon of olive oil every morning. A few drops of warm olive oil is a very fast and effective remedy for an earache. It is useful for cleaning oil paint brushes. To avoid some toxic chemicals use a cup of oil with a few drops of pure lemon juice as a furniture polish. This oil is great for polishing wooden surfaces, those of stainless steel or copper. It is an excellent choice as shoe polish, make shine your leather shoes and leather sofa. It is a perfect solution for removing labels and stickers from any surface. Use it for chapped lips instead of classic lip balms full of chemicals which will only dry your lips. Add 6 tablespoons of it into your bathtub for a healthy skin. Don’t forget to put some drops of lavender oil for relaxing. Use it for calming irritated, red or dry skin. If having problems with dry skin on hands, put some drops of olive oil on your hands, put on the latex gloves and keep them on for about 15 minutes and then gently remove oil residue with some paper towel.